This article is sharing about days from Wednesday, March 14 to Friday, March 16. 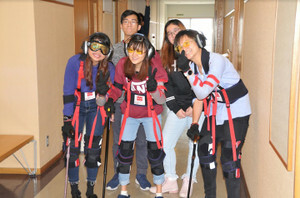 In the morning, the nursing students visited “Hamamatsu City Rehabilitation Hospital”. They took a tour around the hospital and practiced meal assistance with each other. 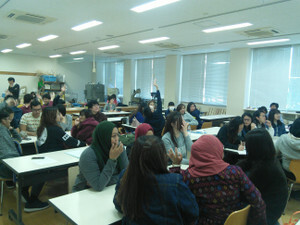 The social work students visited “Hamamatsu City Nearai Gakuen” and general welfare facility “Kiji-no-Sato”. 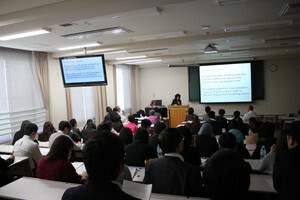 In the afternoon, the students attended the 1st international symposium. 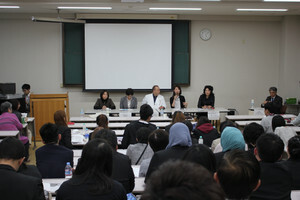 A total of five symposiasts from NYP and SCU gave presentations on the topic of aging society and the efforts being done in Singapore and Japan as aging society is a problem in both countries. It was a great opportunity to learn the similarities and the differences between Singapore and Japan. 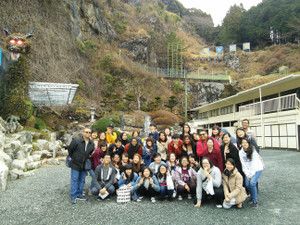 In the morning, the nursing students visited “Ozora Ryoiku Center”. 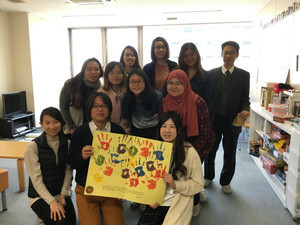 The social work students were divided into two groups: group 1 participated in the exercise of being an elderly person done by a SCU faculty member, and group 2 visited “Community Youth Support Station Hamamatsu” and “Kodama Support Center for Hikikomori”. Afterwards, Certificate of Completion was awarded to all the students from Dean Fujimoto (nursing) and Dean Yokoo (social work). 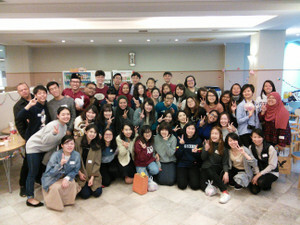 The wrap-up of this study trip is “Student Interaction Event” hosted by SCU students. They played games together, enjoyed performances (fashion show and dancing) done by each other, and took many pictures. 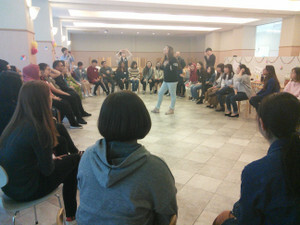 Even though there was a language barrier, all the students devised ways of communicating and realized the joy and the value of international interaction. NYP students and the faculty members toured around the city of Hamamatsu on the final day with SCU students. Unfortunately, it was a rainy day, but everyone enjoyed going to Hamamatsu Castle, Hamamatsu Fruit Park, Ryugashido Cave and shopping at AEON Mall Hamamatsu Ichino. 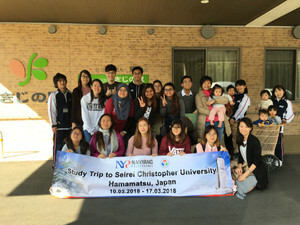 During the seven days of the study trip, students, faculty members and staff from both schools had a lot of learning about healthcare and social welfare in Singapore and Japan. 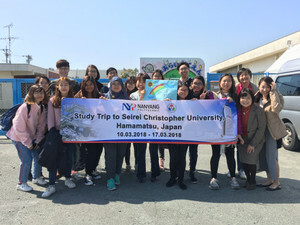 Also, everyone gained various things such as experiencing the culture of Japan and Singapore and being touched by friendship across the border. 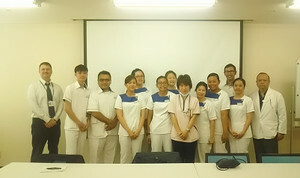 In September, SCU students will participate in the NYP study trip in Singapore.